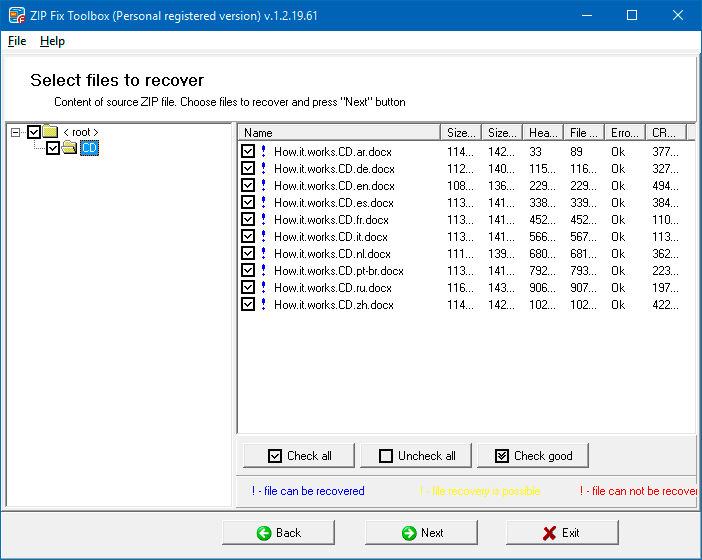 ZIP Fix Toolbox is a specialized tool designed to recover files from corrupted ZIP archives. Fix all types of ZIP archive. Works with archives larger than 4GB. Fix files with incorrect CRC values. Save files and folders selectively. 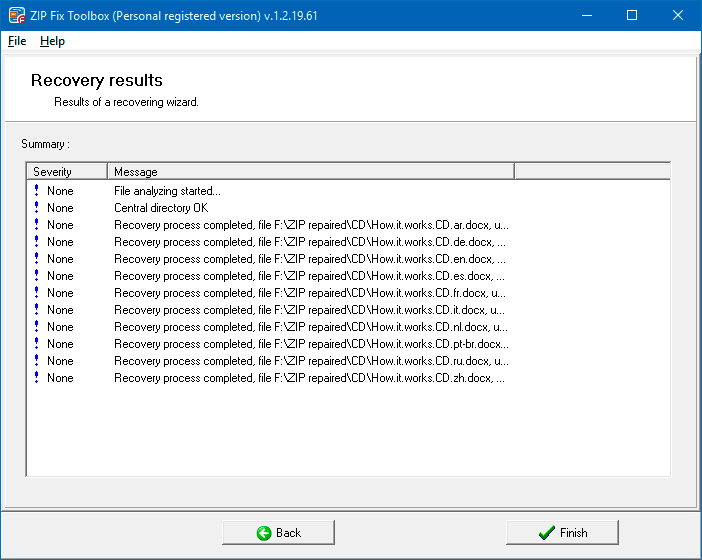 The WinZip fix file program scans and analyzes a damaged *.zip archive, then displays the data that can be extracted on-screen. The speed of the win zip fix program's operation depends on the size of the file and the specifications of the computer. On low-powered machines, the recovery procedure can take a long time. Note: The program is not licensed under GNU General Public License (GPL) or GNU Lesser General Public License (LGPL). 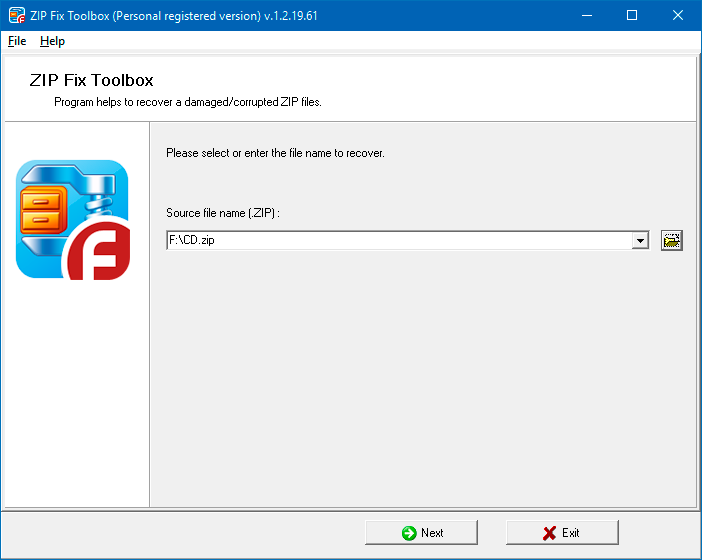 ZIP Fix Toolbox is not open source software or a freeware tool. ZIP Fix Toolbox is distributed on the try-before-you-buy basis with a free DEMO version. 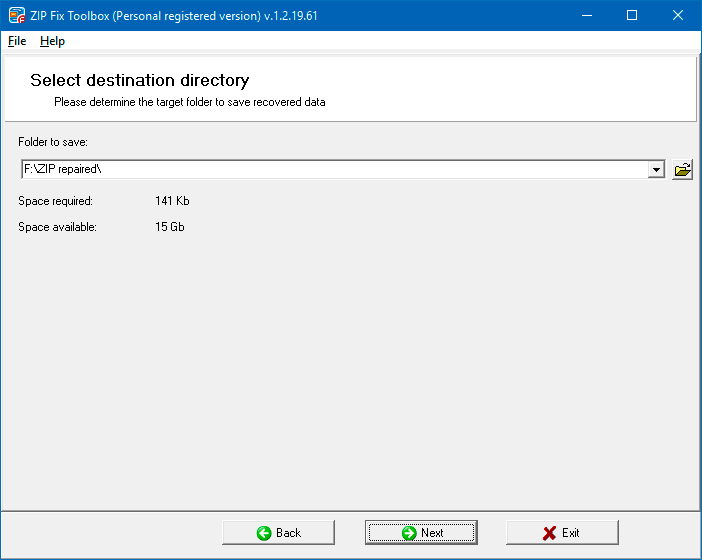 Selecting the directory for the recovered files.